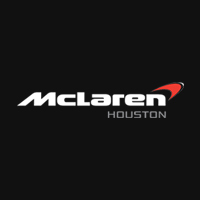 McLaren Houston is a proud sponsor of the 4th annual HTX Bike Fest 2016. What is HTX Bike Fest? HTX Bike Fest 2016 is an all day festival taking place September 17th at Market Square Park in Downtown Houston. This event is designed to bring cyclists and bike enthusiasts from all over the city to one place for one day. The festival will boast a huge all day swap meet and over 50 different bike industry vendors. This year’s festival will include a variety of demos from various bike sports such as bike polo, bmx/fixed gear freestyle, various cycling contests, a huge obstacle race course, and sprint contests hosted by Texas Gold Sprint’em. The festival will be FREE to the public with a suggested $5 donation that benefits BikeHouston. The event begins at 10AM and ends at 6PM. Swing by anytime to check out the action and if you’re going the the VIP Red Bull tent you’ll get an up close and personal look at the amazing McLaren vehicles that will be on display.